"In principle, Eurasia and our space, the heartland Russia, remain the staging area of a new anti-bourgeois, anti-American revolution," says Aleksandr Dugin who spoke this week in Washington. A soft-spoken man, Dugin wore a black shirt and black suit, with a priestly-beard of an old Solzhenitsyn. Like Aleksandr Isievich, Dugin is also a graphomaniac with a bit of a cult following. Many clutched his two kilo Osnovny Geopolitiki (Fundamentals of Geopolitics) like Bibles as he spoke of his philosophy of Eurasianism. The underlying philosophy of Eurasianism is that we live in a unipolar world, dominated by the United States. In this unipolar world, free market economics and democracy are the prevailing systems and nations are subjected to these systems because of the power of globalization. According to Osnovny Geopolitiki, Dugin believes that "The new Eurasian empire will be constructed on the fundamental principle of the common enemy: the rejection of Atlanticism, strategic control of the USA, and the refusal to allow liberal values to dominate us. This common civilizational impulse will be the basis of a political and strategic union." Dugin’s Eurasianism is an alternative to Atlanticism, a rejection of the unipolar world by the creation of a “Eurasian pole” to balance out the unipolar world dominated by the U.S. Like Huntington’s ideas, Eurasianism is an ideological clash between civilizations, hinting at Dugin’s Marxist background. 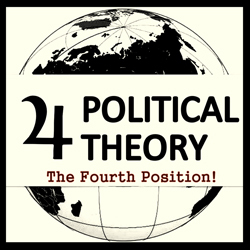 The second point is that the narod becomes the political subject rather than oligarchical powers who have alienated them through western-led democracy. Third, the concept of sobornost’ (e pluribus unum) defines the pluralistic nature of the Eurasian pole. In practice, Eurasianism is a Monroe Doctrine for Russia. It’s greatest achievement would be the alliance of the ex-USSR states, Iran, Turkey, Pakistan, and Afghanistan. Alliances like the Shanghai Cooperation Organization would combat the “American intrusion in Central Asia.” Rather than a reconstruction of the Soviet Empire, the Eurasian Empire is a “liberal one” as outlined by Chubais— a CIS and SCO on steroids. Unlike the Soviet Union, Eurasianism is post-modern philosophy where member-states are not forced into any alliance. The main problem with Dugin’s philosophy is not his brand of anti-Americanism. 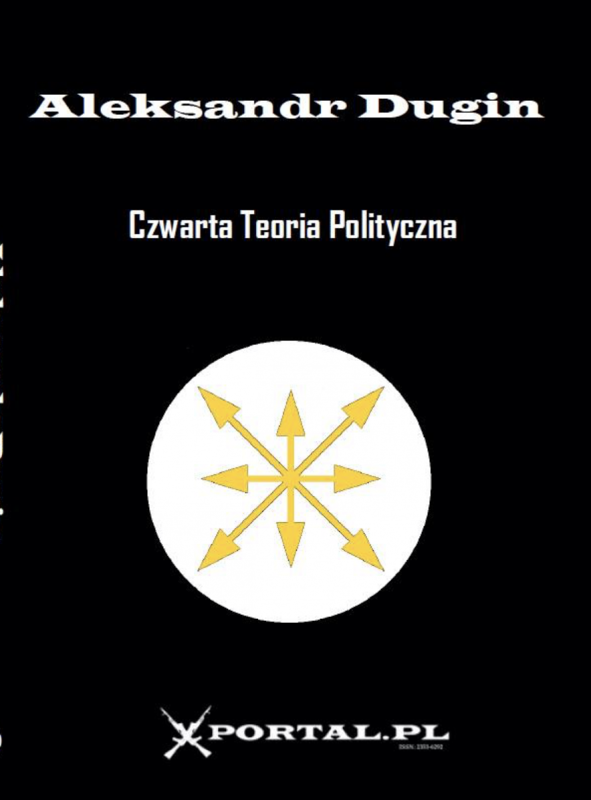 Like Vladimir Zhirinovsky, Dugin is a paper tiger in Russian politics used by the Kremlin when necessary. His brand of anti-Americanism is accompanied by arrogant, fruitless acts. In August, his newly-minted Eurasian Youth Union rallied in Moscow, demanding that president Yushchenko resign from his post and Ukraine enter the United States as the 52 [sic] state. His party seems to be jumping on the youth bandwagon like scores of impotent parties, including Limonov’s NBP. (N.B. : Concerning Ukraine, his views are not completely Soviet Imperial: Galicia and Carpathia belong to the West, not Russia. This may delight some Galicians, but is rediculous considering that Ukrainian national identity does not begin and end in Lviv.) His right-wing party is not the problem. In fact, by challenging the “party of power,” the Eurasia Party provides a ideologically-based party for voters to challenge Putin’s rule of siloviki, albeit in a modest way. Dugin is right in saying that Putin and United Russia are devoid of an ideological platform, hence devoid of a clear-cut economic and social policies. The problem with Dugin’s philosophy is that it is fundamentally anachronistic. Eurasianism is based upon Russia as a post-World War II power, a Russocentric view that is based upon great-power legacies, rather than present realities. In the words of Putin, the fall of Soviet Union was “the greatest geopolitical catastrophe of the twentieth century,” and for Dugin this loss lead to the unipolar rise of the U.S., free market capitalism, and democracy. Russia, with its dwindling population, deserves to rule over the Eurasian space as a matter of historical legacy. According to demographic projections, Russia’s population is growing by -.37 and Europe is not far behind. As the developing world grows in population and increases economic growth, Russia (like the U.S.) will take a back seat. If the United States is the only world power, this role is accidental and is fading away. The idea of the United States as the single world superpower was tossed around in the 1990s, but was quickly supplanted by the rise of China, the instant superpower formation of the European Union, and the growing U.S. dependence on African oil (set to increase to 25% by 2020). Bogged down in the Middle East, the U.S. can barely keep up at home much less continue to step on Russia’s toes in Central Asia. Thus, the other fundamental problem with Dugin’s geopolitics is that globalization is not unidirectional, American-led force. He alludes that nations are free to accept or reject Atlanticism (i.e. the Baltic states, long gone on the agenda for “reunification”). Globalization works the same way. Dugin barely discussed the rise of the Chinese pole, suggesting only that—and I quote—a “yellow missionism” of China may create a Asia-Pacific power. Racism aside, this is a gross underestimation of China’s role in the world. China proves his theory that nations reject American-led democracy in favor of free-wheeling capitalism. The U.S. is hardly telling the Chinese how to run their economy. Eurasianism is neither fish nor fowl. It’s part Europe, part Asia, but none of the above. Why would Turkey, a NATO member since 1952 and a fast-track applicant for the European Union, ally itself with Eurasia? Kazakhstan, located in Eurasia proper is pursuing a pragmatic foreign policy by cozying up to the United States while keeping close ties to Russia. Wrapping up, Dugin mentioned that his dream is to see the reinstallation of the zemstvo – a better concept for rule in Russia. Perhaps Dugin should stop thinking globally and start acting locally.